This year Makan Kitchen at DoubleTree by Hilton Kuala Lumpur presents "Resipi Ibunda" which brings back nostalgic childhood memories of home-cooked buka puasa meals. The spread features traditional favourites and hearty Malay delights such as Kambing Panggang Berempah, Sup Kawah, Laksa Sarawak, Rendang Daging Tusuk, Satay Aneka and more! The dishes were a delight to feast on and there were so many choices I did not know where to start. Besides the special Ramadhan spread, there was still the Chinese kitchen for Chinese cuisines as well as the Indian Kitchen for your share of Indian dishes as well so you will definitely have your fair share of food. One dish that really deserves the limelight is their Laksa Sarawak which was made pipping hot and really delicious! The broth was well seasoned with spices and made it a real comfort food. Just check out those HUGE tiger prawns looking absolutely so juicy and full of seafood goodness! Remember to grab this when you dine here at Makan Kitchen. Their Kambing Panggang Berempah was well marinated and roasted leaving the lamb to be succulent and juicy. Get the outer bits for that light char and crispiness for the additional omph! Enjoy traditional Malay desserts as well with the delicious kuih and bubur that ends your meal on a sweet note. The Malay desserts here were really good and well I love Malay dishes so you should really try their Malay desserts instead of the regular Western ones. 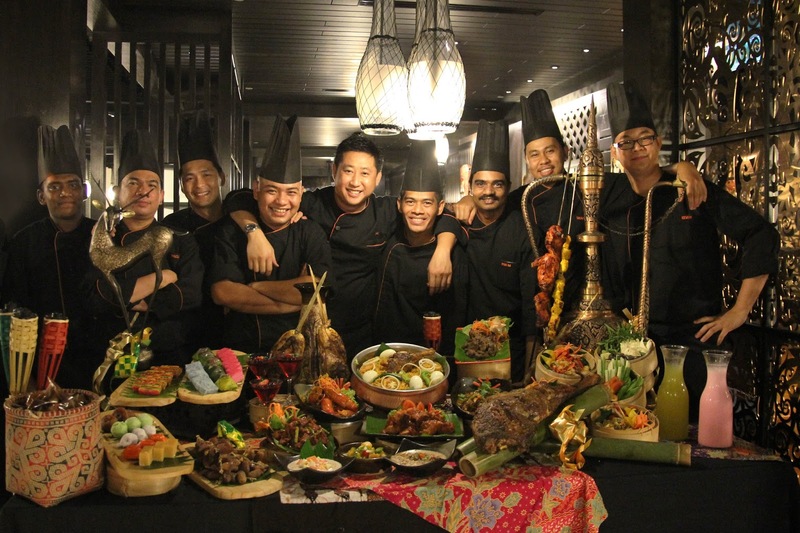 Besides the spread of Malay delights, Makan Kitchen has added special live stations serving the popular Ramadhan choices and a live band performance who will definitely keep you entertained throughout the festive season. Makan Kitchen can seat up to 350 pad and offers ample locally themed semi private and private rooms perfect for entertaining family members, friends and business partners! All the scrumptious dishes you witness in this post features treasured recipes from their chefs and you can enjoy this spread priced at RM125/adult from June 18 till June 24 and July 10 till July 16 and RM145/adult from June 25 til July 9. 50% off when you dine in after 9pm for Walk-In guest. All prices are includive of 10% service charge and 6% GST. For reservations, please call Makan Kitchen at +603 2172 7272 or visit makan-kitchen.com for more information.